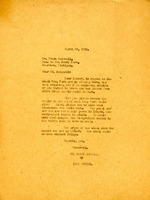 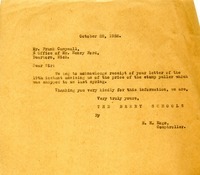 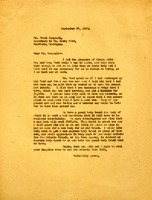 A letter from Martha Berry to Frank Campbell (Secretary to Henry Ford) regarding getting a new Lincoln to replace her old Ford for $3,000 as result of conversation with Henry Ford. 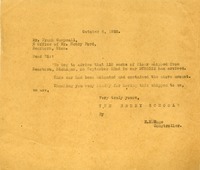 The letter also outlines a need for a new express body truck to replace an old panel body truck. 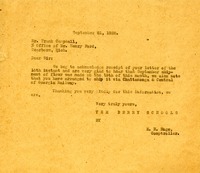 In this letter Frank Campsall tells Mr. E.H. Hoge that he has made arrangements to supply Berry College with the correct amount of hard and soft wheat flower.